The Steelhead Association operates a co-operative hatchery with the S.O.N.S. of Lake Erie, and the Pennsylvania Fish and Boat Commission. Every January, 50,000 steelhead eggs are brought to the hatchery, located on the Bayfront Highway in Erie, PA. These fish are hatched from eggs in the hatchery, and raised until a few inches in length. 3CU then takes the fish to their raceways for another year to raise until smolt sizes. 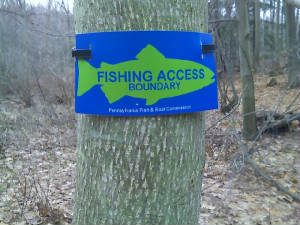 These fish are then released into PA tributaries, to return for some great fishing action! The club has a scholarship program, giving a local college student the chance to learn about the hatchery, and help with the daily operations. In return, the club helps pay for some of their tuition. The hatchery is volunteer run, and help is always needed. Fish are fed three times daily, and are quite fun to watch grow. A great way to introduce young children into the world of steelhead! We all know steelhead are a put and take fishery, and the hatchery helps put them in the streams! A lot of time and effort is spent raising these fish to state record sizes!!! The hatchery is a valuable tool for educating our youth. In the past couple of years, the hatchery crew has given several presentations and tours of the hatchery. Local schools, cub scouts, and families have toured the hatchery. It is a great way to first hand see and learn about young steelhead.